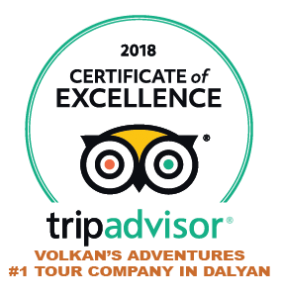 Visit Dalyan and you will find yourself surrounded by Loggerhead Turtles. From the giants floating in the sea, hundreds of t-shirts, trınkets and cuddly toys to the large gold statue as you enter the small town. It is safe to say that Dalyan is obsessed with its turtles. 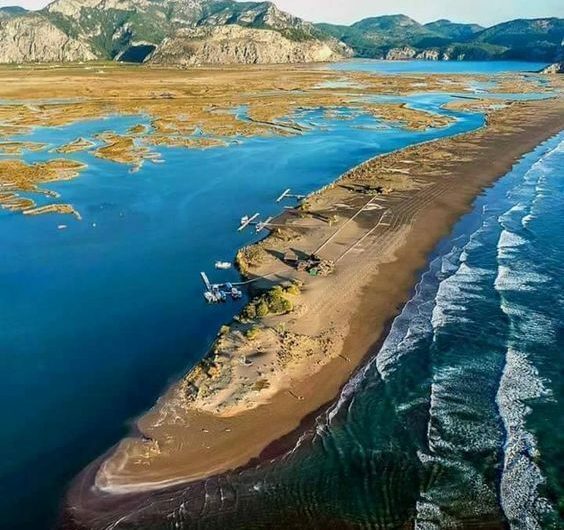 Now a protected area the future of Dalyan’s turtles is looking good. Caretta caretta sea turtles are omnivores. They feed mainly on bottom-dwelling prey, munching jellyfish, conchs, crabs, and even fish, but will eat seaweed and sargassum occasionally. Caretta caretta have large powerful jaws to penetrate the often, tough outer shells, of ıts prey. Once the turtles reach adulthood, their formidable size limits predation to large marine animals, such as sharks but in infancy young loggerheads are threatened by numerous predators. The incubation period of the eggs in their sandy nest is 55 – 65 days. The nests are often predated by bırds and foxes. Mature females will often return, sometimes over thousands of miles, to the beach where they hatched to lay their eggs. Loggerhead turtles are considered an endangered species and are protected by the International Union for the Conservation of Nature. Untended fishing gear is responsible for many loggerhead deaths. Turtles may also suffocate if they are trapped in fishing trawls. Turtle excluder devices have been implemented in efforts to reduce mortality by providing an escape route for the turtles. In Dalyan many of the tourist boats are now fitted with propellor guards to help protect the turtles. Loss of suitable nesting beaches and the introduction of exotic predators have also taken a toll on loggerhead populations. Efforts to restore their numbers will require international cooperation, since the turtles roam vast areas of ocean and critical nesting beaches are scattered across several countries. The Mediterranean Sea is a nursery for juveniles, as well as a common place for adults in the spring and summer months. Many can be seen around Patara and Devils Bays near Dalyan. Greece is the most popular nesting site along the Mediterranean, with more than 3,000 nests per year but you can often see huge turtles in the seas around Dalyan and south western Turkey. In addition to Greece and Turkey the coastlines of Cyprus have numerous nesting sites. Loggerhead sea turtles were once intensively hunted for their meat and eggs; consumption has decreased, however, due to worldwide legislation. Despite this, turtle meat and eggs are still consumed in countries where regulations are not strictly enforced. In Mexico, turtle eggs are a common meal; locals claim the egg is an aphrodisiac.Eating turtle eggs or meat can cause serious illness due to harmful bacteria and high levels of toxic metals that build up through bioaccumulation. Nearly 24,000 metric tons of plastic are dumped into the ocean each year. Turtles ingest a wide array of this floating debris, including bags, sheets, pellets, balloons and abandoned fishing line.Loggerheads may mistake the floating plastic for jellyfish, a common food item. The ingested plastic causes numerous health concerns, including intestinal blockage, reduced nutrient absorption and malnutrition, suffocation, ulcerations, or starvation. Ingested plastics release toxic compounds, including polychlorinated biphenyls, which may accumulate in internal tissues. Such toxins may lead to a thinning of eggshells, tissue damage, or deviation from natural behaviors.